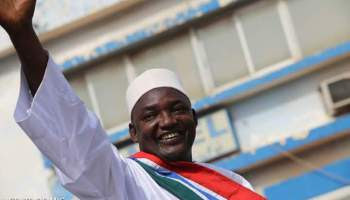 New Gambian President Adama Barrow, has removed the word 'Islamic' from the country's official name. Gambia will no longer be the Islamic Republic of Gambia . The word "Islamic" was added by the country's former president, Jammeh in 2015. The new president said The Gambia, whose population is about 90 % Muslim, with the rest Christian and animist, will now be The Republic of Gambia. In a news conference, the president vowed to ensure Freedom of press and announced that his Cabinet members will have to declare their assets before the assume office.